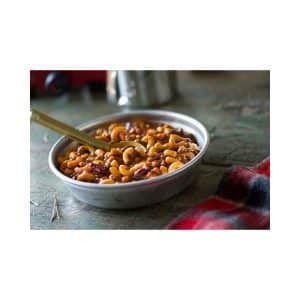 Maybe you’re looking for something easy to make for the weekend campout, or perhaps you just remembered your family potluck is in 30 minutes and you forgot to make a dish. 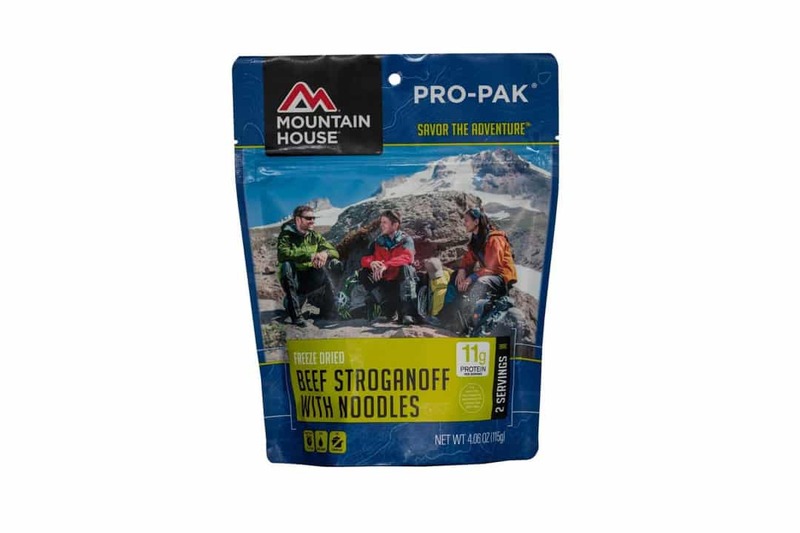 With Mountain House Beef Stroganoff, you can whip up a delicious home cooked meal in a flash – no crazy prep work required. 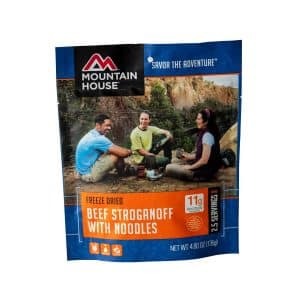 Tender pieces of beef, tasty onions and mushrooms blended in a savory cream sauce over a bed of egg noodles … with a dish this satisfying, you’ll never guess that it’s freeze dried. 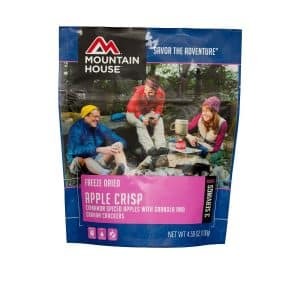 Similar to our Pouches but air-sealed for high-altitude excursions. 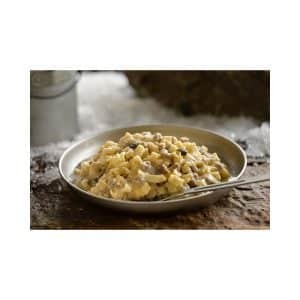 Whip up this filling meal in minutes – it’s especially satisfying after a long day on the trail. 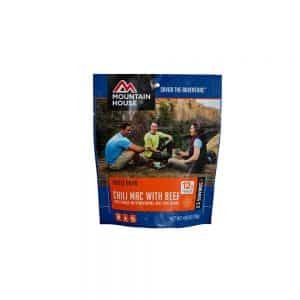 Whether you’re trekking the Pacific Crest Trail or cuddling up at home, Mountain House Beef Stroganoff has you covered. 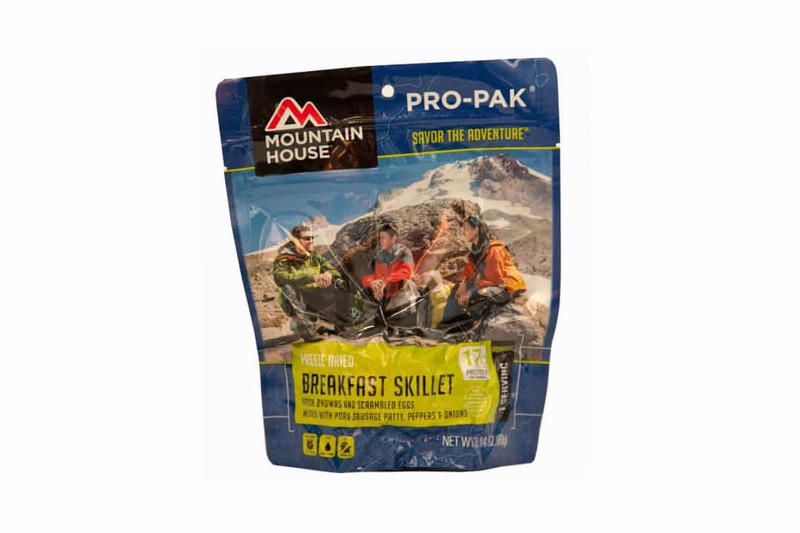 Filling hash browns, savory sausage, tasty veggies and scrambled eggs all team up to make the legendary Mountain House Breakfast Skillet. 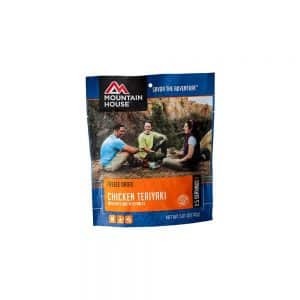 Bursting with flavor and protein, it’s no wonder this is one of our most popular breakfast items for fueling explorers everywhere. 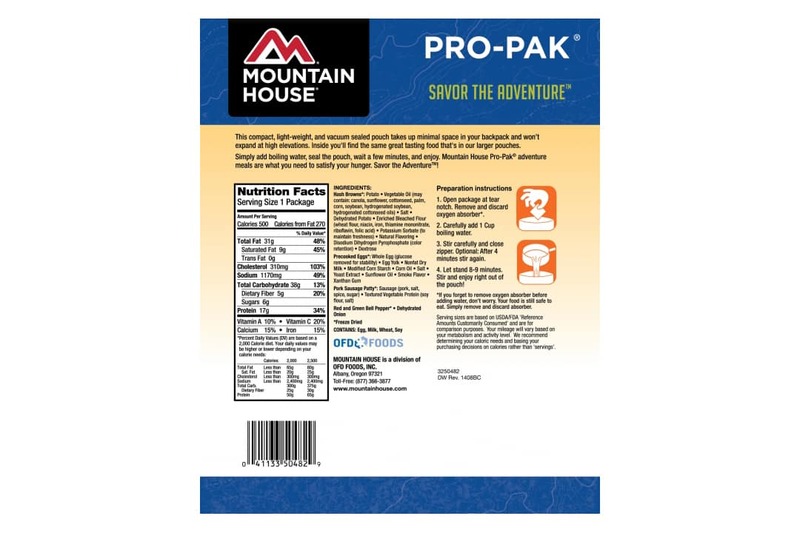 Pro-Pak – Similar to our Pouches, our Breakfast Skillet Pro-Paks are vacuum sealed to ensure they stay compact at high altitude. The one thing all of our Breakfast Skillet options have in common? They’re easy to prepare. 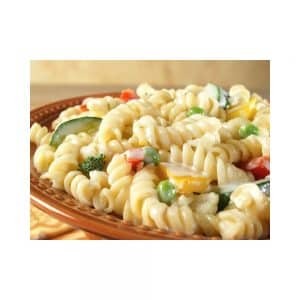 Simply add hot water and you’ll be all set to enjoy a flavorful, filling meal no matter what. 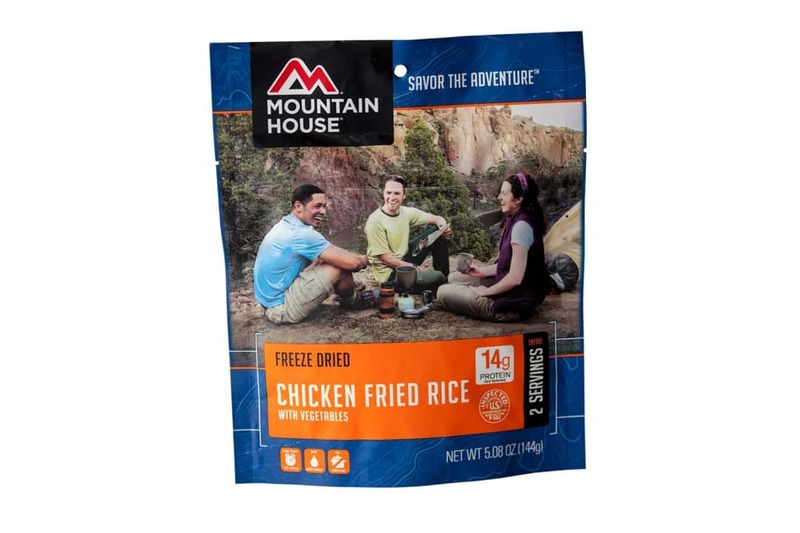 When you need a hot, filling meal after a long day outside, look no further than Mountain House Chicken Fried Rice. 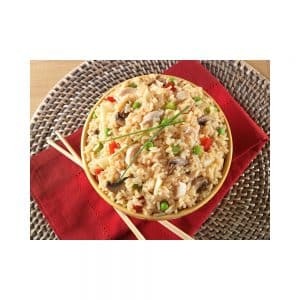 Made with delicious bits of chicken, scrambled eggs, mushrooms, onion and peppers, Mountain House Chicken Fried Rice brings you a blend of flavor that’s just as tasty as what you’d find in your favorite takeout restaurant without that long wait time. Just add boiling water, wait for a few minutes and you’ll have a savory dish to devour in no time. 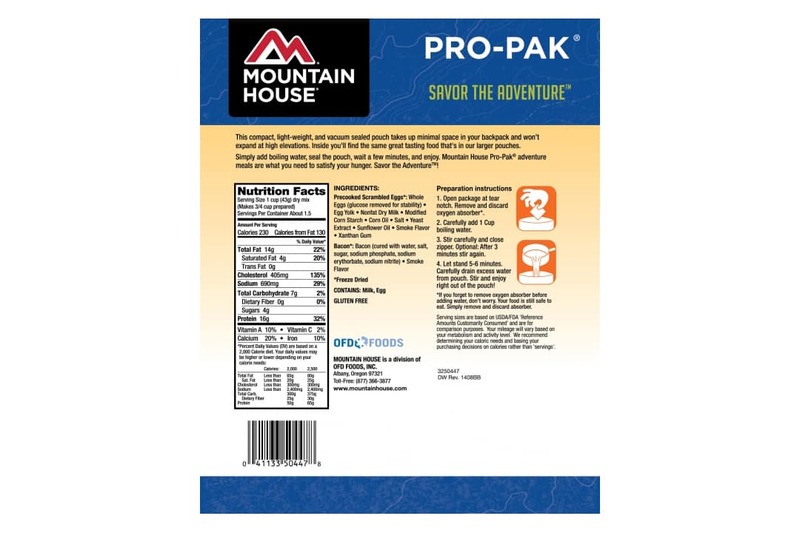 Our Pouch size is the perfect size for fishing trips, camping getaways and hunting adventures. 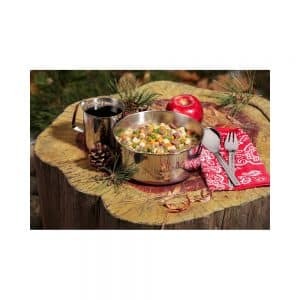 If you get on the trail only to discover you forgot your camping bowls and silverware, no worries – you can just add hot water directly to the Pouch to enjoy. A bonus? No dishes to wash! The comforting flavors of your favorite holiday meal, without hours of cooking or cleaning your house for your zany relatives. 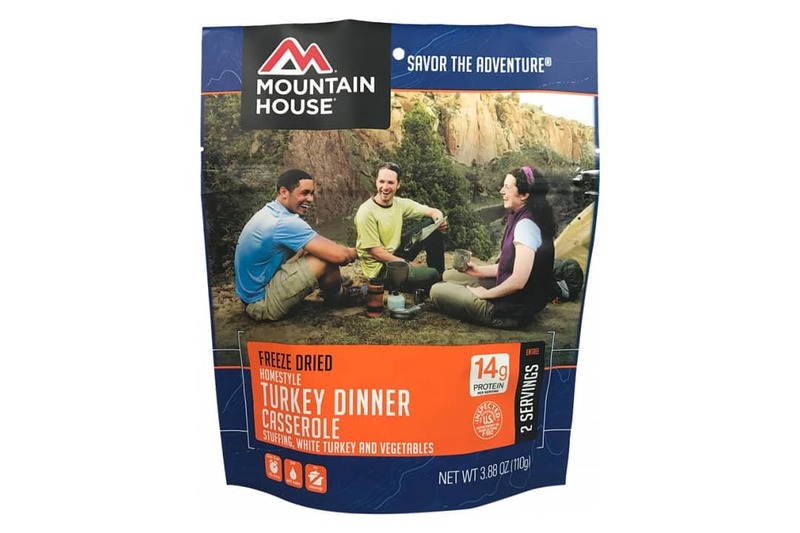 Mountain House’s Homestyle Turkey Dinner Casserole combines turkey, stuffing, harvest vegetables and familiar Thanksgiving spices in a savory broth. 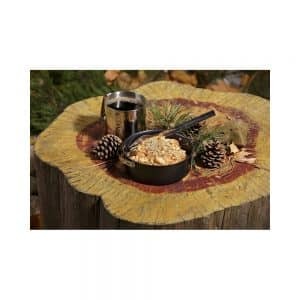 With just-add-water simplicity, you can have your Thanksgiving day meal virtually anywhere — on the trail, at camp, or at the crag. 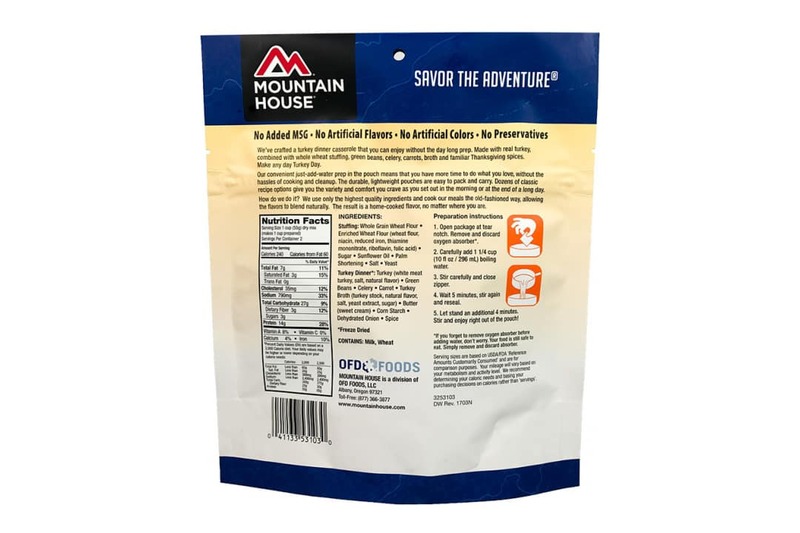 Mountain House Homestyle Turkey Dinner Casserole is available as a Pouch — perfect for stuffing in your pack on weekend excursions. 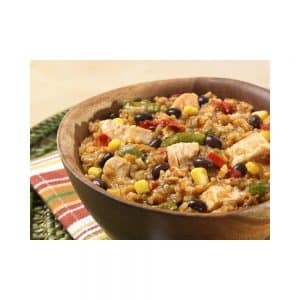 To make this satisfying meal, just add water directly to the Pouch, wait several minutes and you’ll be ready to dig in. 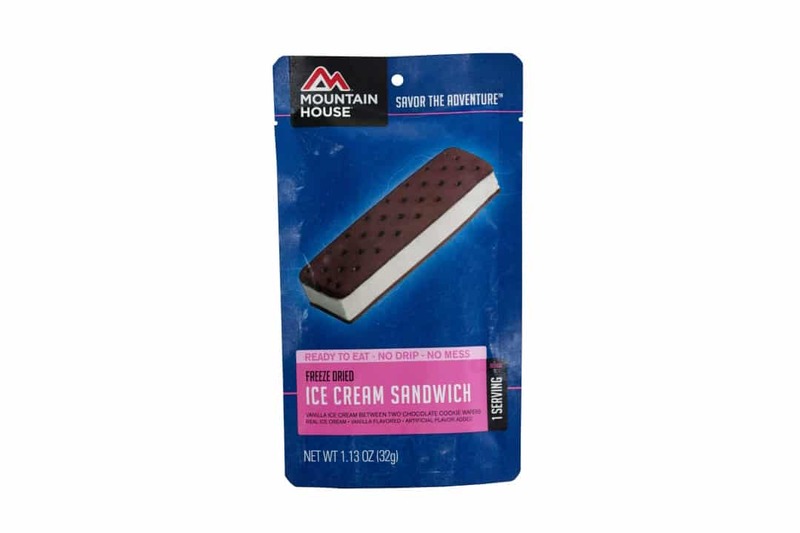 Mountain House’s Freeze-Dried Ice Cream Sandwich allows you to enjoy real ice cream without needing a freezer. Sound too good to be true? We can assure you it’s no joke – our ice cream sandwich features delicious, creamy freeze dried vanilla ice cream sandwiched between two chocolate cookies for a delicious treat that can be enjoyed anywhere. And best of all? 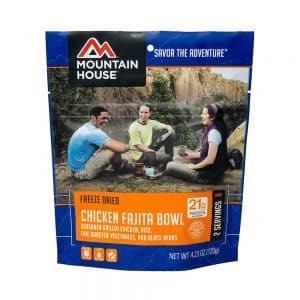 It’s ready to eat straight from the pouch – no water or waiting required! Whether you’re traveling to outer space or taking the kids on their very first camping trip, the legendary Mountain House Ice Cream Sandwich is ready to satisfy your sweet tooth. And don’t worry about any sort of mess – because it’s freeze dried, our ice cream sandwich won’t melt and ruin your brand-new puffy jacket. 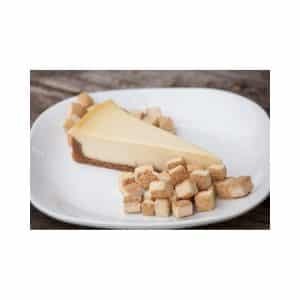 Treat yourself to a sweet treat on your next adventure – we promise you won’t be disappointed! 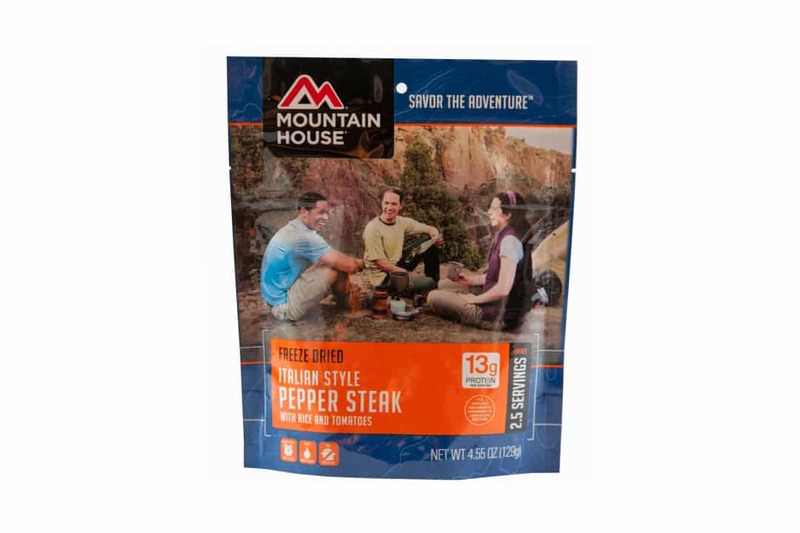 You need protein to help you regain strength after a long day on the trail, and that’s exactly what you’ll get with Mountain House Italian Pepper Steak. Made with real, seasoned beef strips, our Italian Pepper Steak packs a punch of flavor alongside colorful veggies and filling long grain rice. 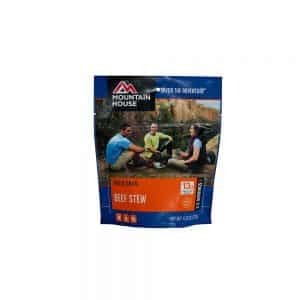 Enjoy a home-cooked favorite any time, anywhere – all you need is hot water and you can have delicious steak without ever busting out the grill. Steak on the go? Yep, it’s a thing. Our Pouches make the perfect companion for your next camping trip, hiking spree or hunting excursion. Lasagna is one of those dishes that everyone seems to love, yet few have the patience for cooking it. 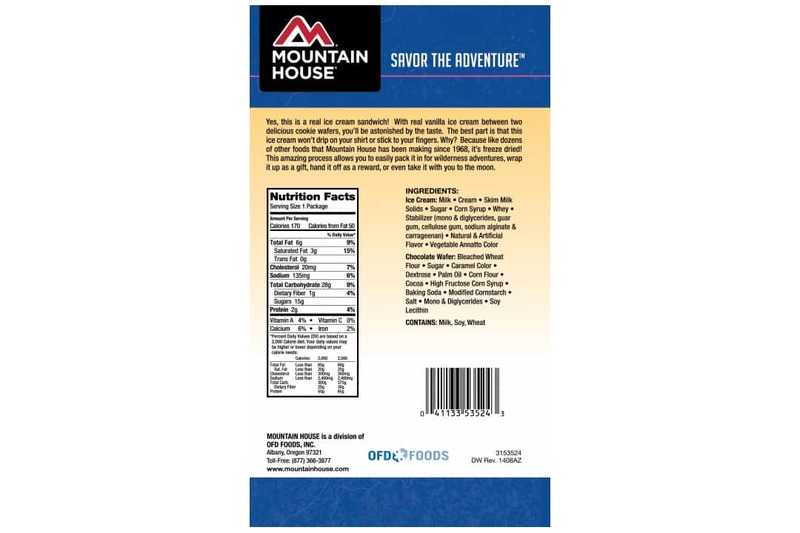 That’s where Mountain House Lasagna comes into play. 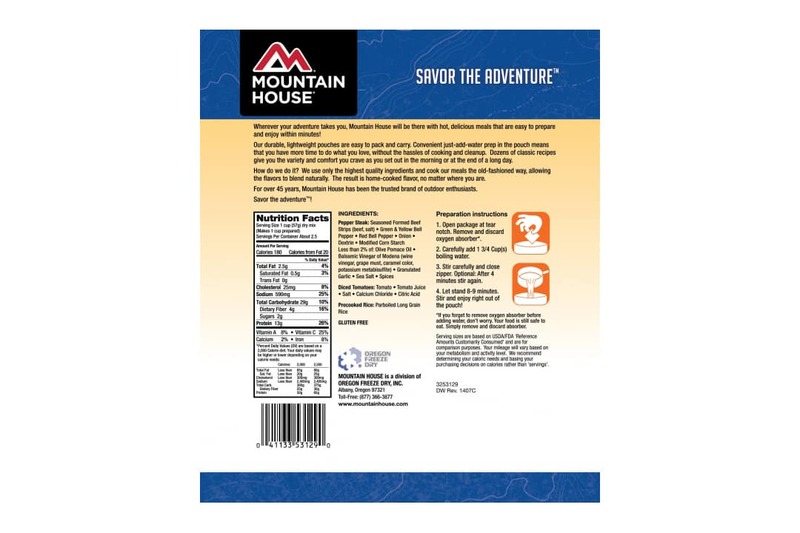 Made with real meat sauce, cheese, and noodles, Mountain House Lasagna with Meat Sauce is a comforting, nearly-instant meal that can be enjoyed anywhere around the world at any given time – just add hot water and you’ll have a filling, comforting dish ready in minutes for your devouring pleasure. 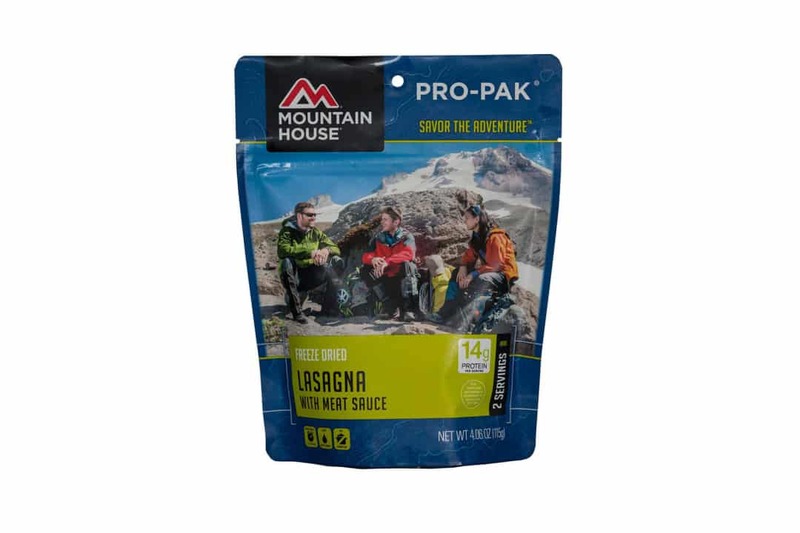 Similar to our Pouches but vacuum-sealed for extra compactness, our lasagna Pro-Paks make the perfect companion on your next backpacking trip. There are few things in this world that are better than macaroni and cheese. 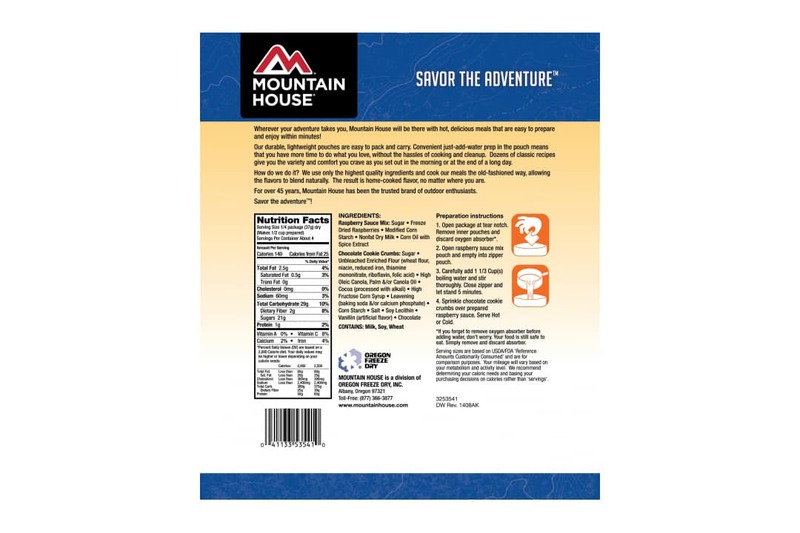 But enjoying your favorite comfort food isn’t always easy, especially if you find yourself in some faraway land without access to all the fixin’s for that perfect bowl of cheesy goodness – that is until Mountain House Mac and Cheese came along. 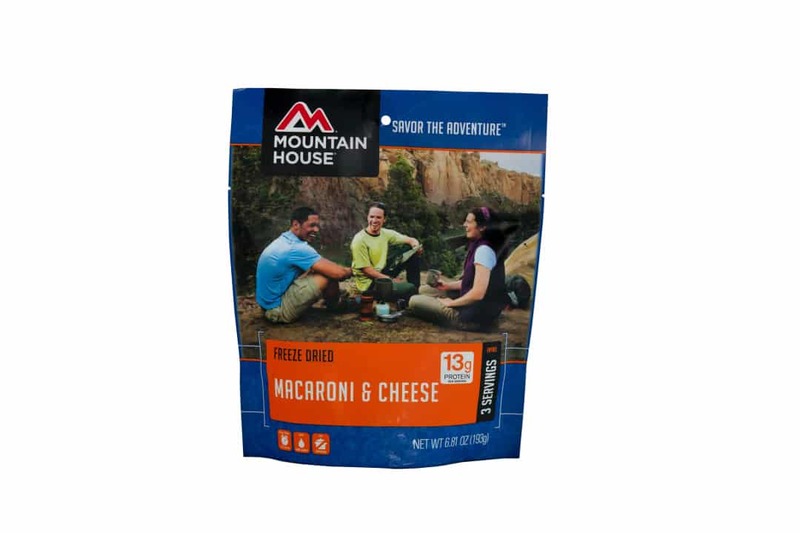 What better way to end a long day of hiking than with a hot bowl of mac and cheese? 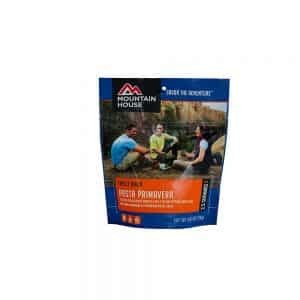 And if you forgot to bring dishes on your camping trip, no worries – just add hot water and you can have dinner right from the Pouch. 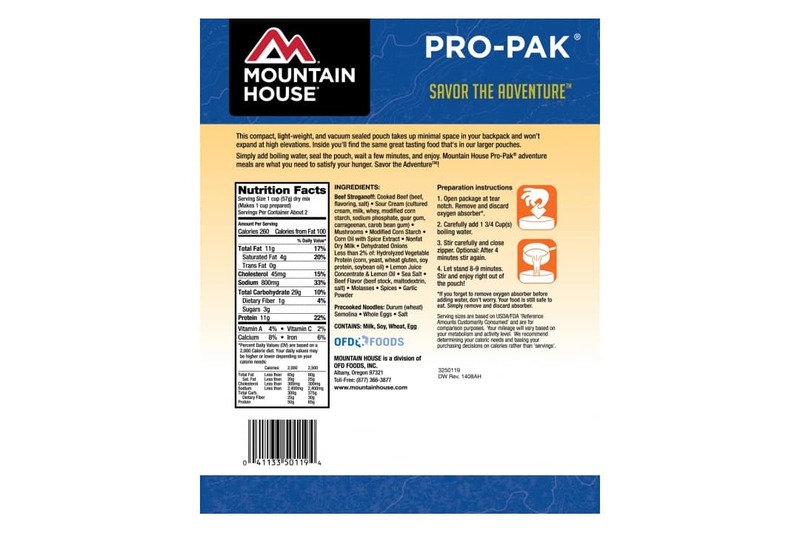 Take all the prep work out of breakfast with our freeze-dried scrambled eggs and bacon. Just add hot water and you’ll be ready to dig in to this classic hot breakfast anywhere under any circumstances. 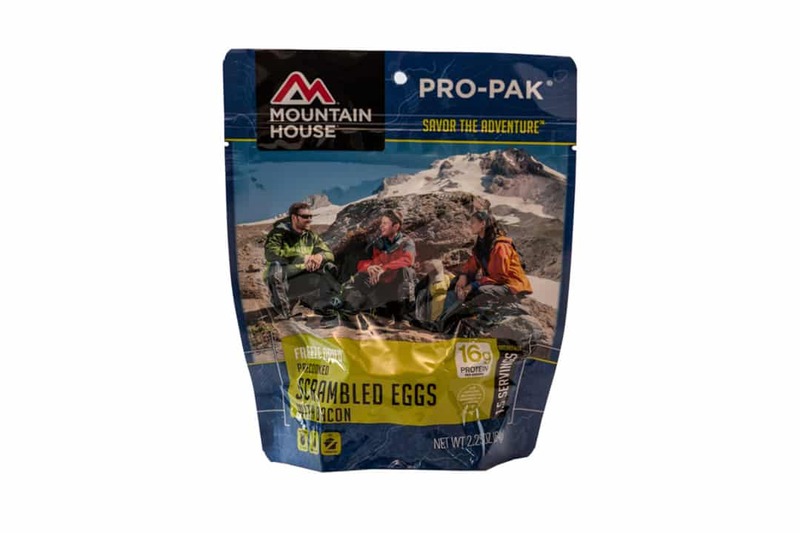 Similar to our Pouches, our scrambled eggs and bacon Pro-Paks are the perfect companions on backpacking trips thanks to their more compact design. 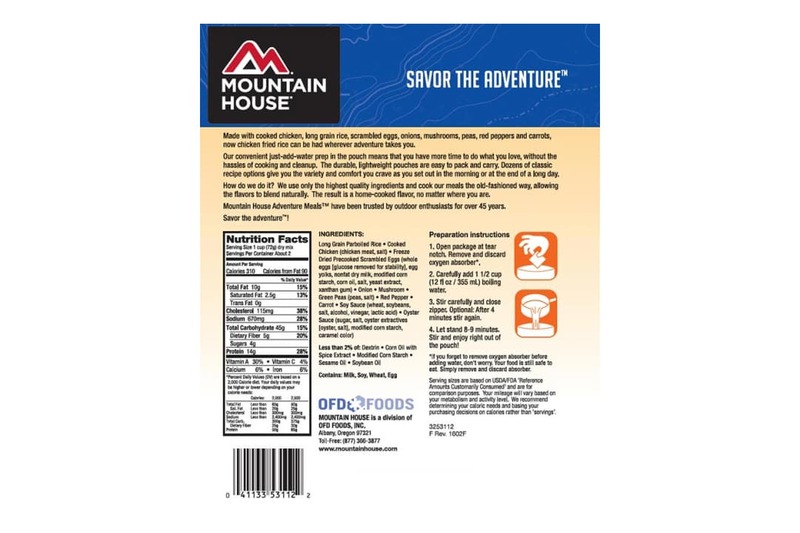 Taste and quality — that’s what you can expect when you take that first bite of Mountain House Scrambled Eggs with Bacon. 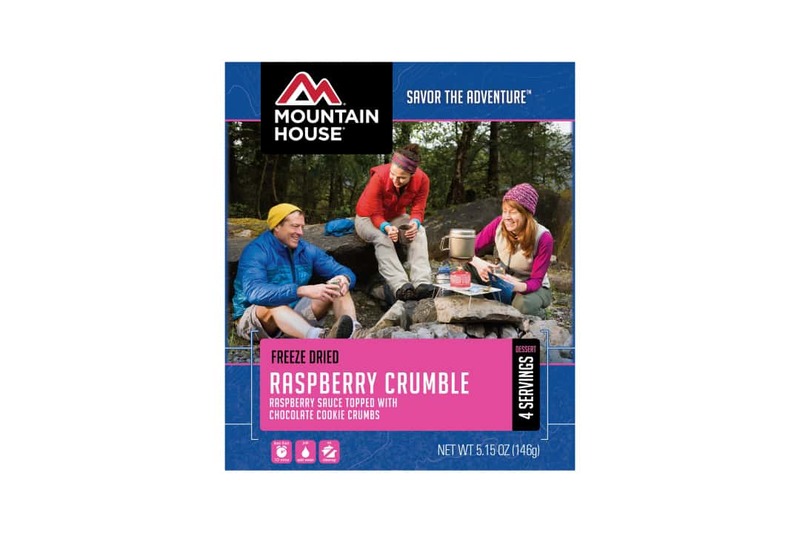 Mountain House Raspberry Crumble blends a delicious raspberry sauce with chocolate cookie crumbs for a decadent dessert that can be enjoyed anywhere – even if you don’t have an oven for baking. Just add hot water and you can indulge in this chocolatey yet fruity dessert at the crag, on the beach, or in your own kitchen. After a long day of hiking or climbing, it’s OK to want some sort of reward. 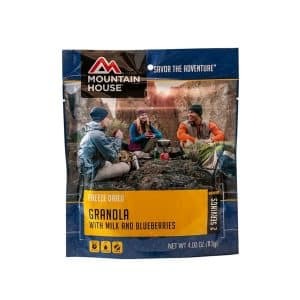 Our pouches of freeze dried raspberry crumble are great camping desserts to take with you on your next adventure. 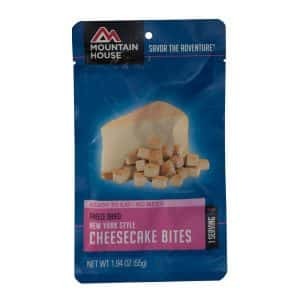 They’re small enough to stuff in your duffel, yet filling enough to satisfy your sweet tooth. What better way to end a long day on the trail or at the office than with a hearty Italian meal? 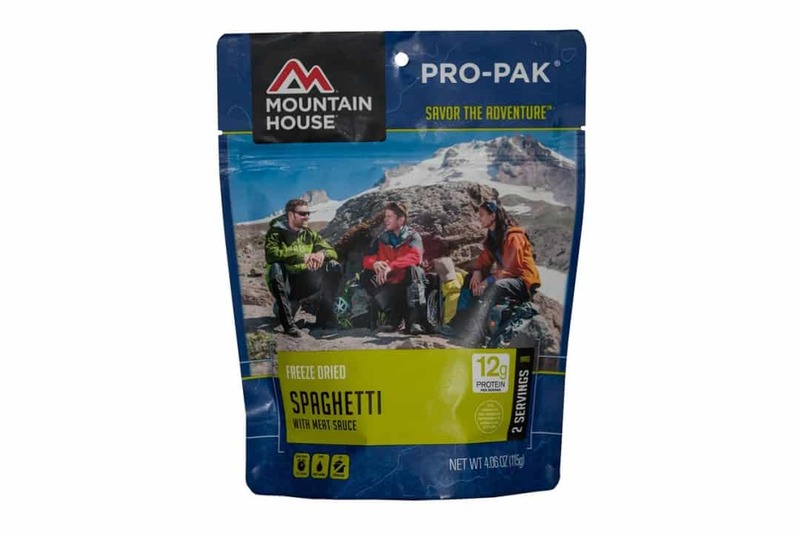 Mountain House Spaghetti with Meat Sauce gives you that wholesome, comforting flavor of Italian cooking in hardly any time at all. Tender spaghetti noodles, hearty chunks of beef, rich marinara sauce – what’s there not to love? 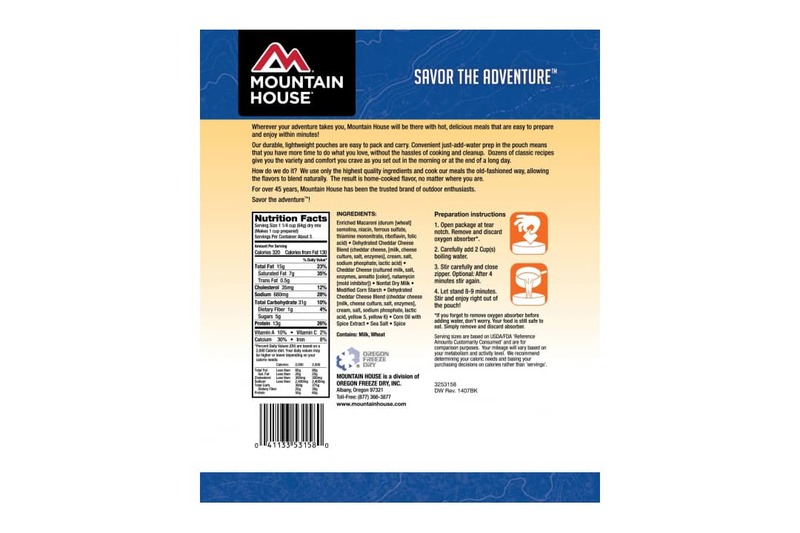 Mountain House Spaghetti is the ultimate solution for the impatient eater, adventurous explorer and over-preparer. If you often find yourself daydreaming about food on the mountain, the Pro-Pak is for you. It’s vacuum sealed for high-altitude.